AkroFlex Exterior Insulation and Finish Systems (EIFS) are lightweight, multi-component exterior wall assemblies. EIFS can resemble traditional stucco, while offering additional energy efficiency, design versatility, weatherablity, and durability. 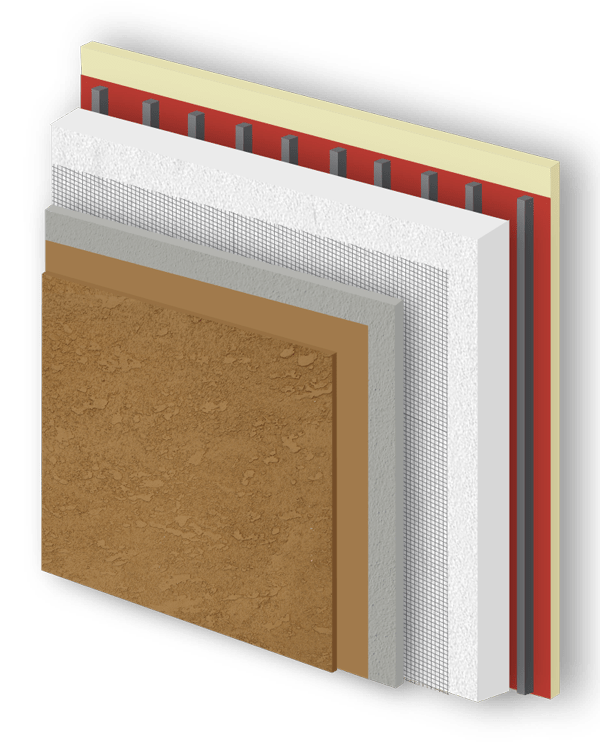 The usage of EPS foam offers excellent insulation and allows the applicator to economically create virtually any architectural detail or design. Additionally, AkroFlex EIFS can be finished in an unlimited array of colors and unique textures. The design versatility and finish options of AkroFlex EIFS make it a perfect choice for designers to create buildings with beautiful intricate detailing and distinctive appearances. 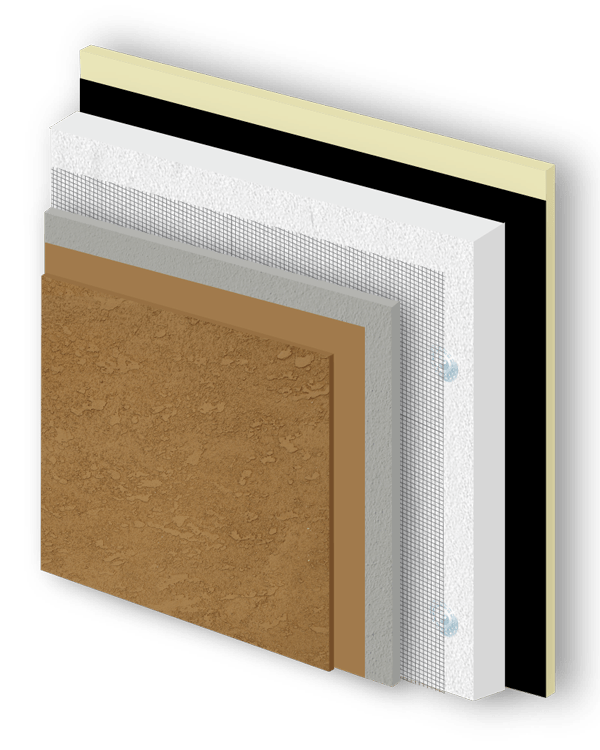 The AkroFlex Barrier EIF System is a Class PB barrier system designed to keep moisture on the outer surface of the wall and out of the wall cavity. 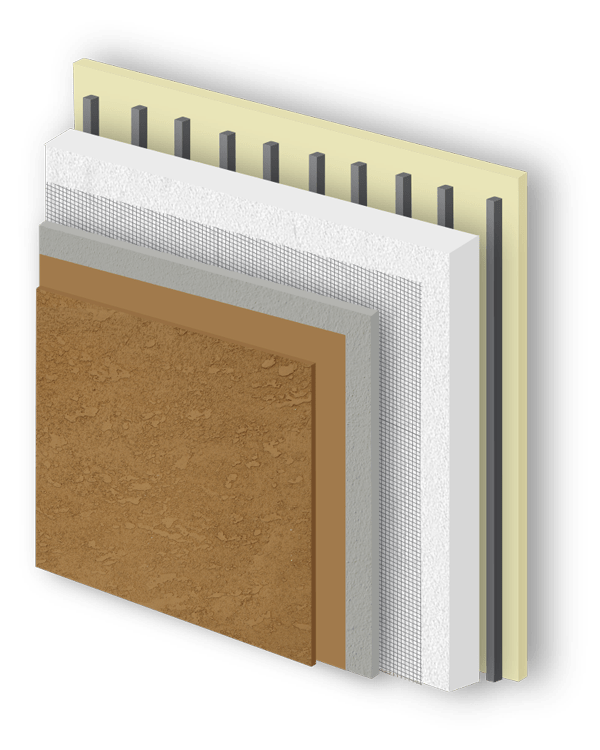 AkroFlex Barrier consists of EPS foam board adhesively attached over approved, properly prepared sheathing. Base coat is applied over the foam board and fiberglass mesh is then fully embedded in the base coat. Lastly, 100% acrylic finish is applied. The AkroFlex Water Managed Plus (WM+) System is a class PB system utilizing a water-resistive/air barrier coating and a means of draining incidental moisture to the exterior. AkroFlex WM+ consists of the AkroGuard/AkroFill water-resistive/air barrier coating system applied over approved, properly prepared substrates. Foam board is attached to the sheathing using vertical ribbons of adhesive. Then base coat with mesh fully embedded is applied over the foam. Lastly, primer (optional) and AkroFlex 100% acrylic finish are applied. Like a standard PB system, AkroFlex WM+’s finish and base coats are designed to keep moisture on the exterior surface, but WM+ adds an additional layer of moisture protection with a water-resistive coating. The AkroFlex Water Managed (WM) System is Class PB system utilizing a water-resistive barrier and a means of draining incidental moisture to the exterior. AkoFlex WM consists of a water-barrier applied over approved, properly prepared substrates. Grooved foam board is mechanically attached to the sheathing, and then base coat with mesh fully embedded is applied over the foam. Lastly, primer (optional) and AkroFlex 100% acrylic finish are applied. Like a standard PB system, AkroFlex WM’s finish and base coats are designed to keep moisture on the exterior surface, but WM adds an additional layer of moisture protection with a water-resistive barrier.